Maybe it’s because of the upcoming release of the BFG movie, or the fact that this month’s read aloud is from the Book of Giant Stories, or that my very first published book, The Giant King, is going to print for the third time this month, but I have been thinking a lot about giants recently. What a great event – Cory Elementary School’s Family Literacy night! I always enjoy waxing poetic about how and why literature matters in this world, but it gives me even greater pleasure when I see such an enthusiastic and receptive audience as this community of students and parents. This month’s read aloud, BRAVE IRENE, by William Steig gives us much to pause and ponder around the whole notion of what it means to be brave. This month’s read aloud, Pascual and the Kitchen Angels, by Tomie de Paola, provides a perfect opportunity for us to ponder these celestial beings we call Angels. According to most traditions, angels are considered to be messengers or guardians and are usually depicted in human form with wings and a long robe. 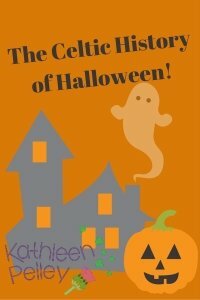 Every Halloween, it seems, I come across some students or parents who are unaware of the roots of this holiday, and so here again is my post from last Halloween for those who may have missed it.